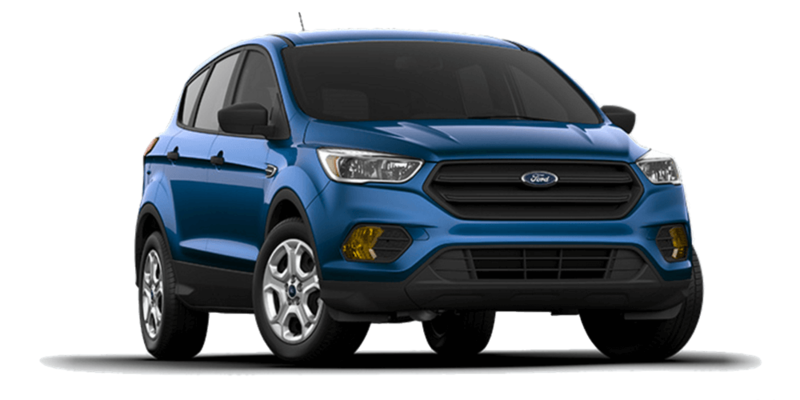 The 2017 Ford Escape is finally available across Naperville and Oswego, and it has been creating quite a stir. Offering a keen combination of family-friendly features, generous power, and roomy interior dimensions, it represents one of the most eagerly awaited crossovers for families all across the United States. Here’s a quick overview of what you can expect. 2.5L iVCT: For up to 168 horsepower and 170 lb-ft of torque. 1.5L EcoBoost: For up to 179 horsepower and 177 lb-ft of torque. 2.0L Twin-Scroll EcoBoost: For up to 245 horsepower and 275 lb-ft of torque. Even the standard engine offers a formidable amount of power, and the 2.0L EcoBoost allows for up to 3,500 lbs. of towing when paired with the Class II Towing Package. Even better, both EcoBoost engines come fitted as standard with Auto Start/Stop technology, so top-range power never results in dismal fuel efficiency ratings. The 2017 Escape is available with Ford’s next generation SYNC 3 infotainment system, which offers enhanced voice-recognition technology, an 8-inch LCD touchscreen interface, and lightning-fast performance. You’ll be able to control Bluetooth calling, music, and available GPS navigation with ease. You’ll also be able to take advantage of the available Enhanced Park Assist system, which delivers several modes to ensure that parking is safer and easier than ever. Parallel Parking Mode: Scans for appropriate spaces, provides a signal when one is identified, then helps you steer in. Park-Out Assist: Shifting and moving information is provided to help you slip out of tight spots. Side Sensing System: If the side of your vehicle gets too close to another vehicle or other obstruction, a warning will be provided. The 2017 Escape’s powerful powertrains make it a top pick for families that like to head out into the great outdoors, so the team over at Ford have made sure that there’s plenty of space for all your bits and pieces. Even with all five seats occupied, you’ll have up to 34 cubic feet of cargo space to play with; if you need more, just fold down the rear seats to make room for up to 68 cubic feet. That space is easy to access thanks to a Class-Exclusive hands-free, foot-activated liftgate. Instead of fumbling about in your pocket or bag for your keys, you can just kick your foot under the bumper to have the liftgate open right up. The 2017 Ford Escape has just arrived in the showroom here at River View Ford. If you’d like to take a closer look, find out more, or arrange a test drive, don’t hesitate to come on down today. We look forward to putting our Naperville and Oswego customers behind the wheel of this family-friendly crossover, so make sure you visit us soon to take it for a spin!